The Vaporesso OMNI Board is one of the most impressive vape chipsets on the market right now! A lot of chipsets have come out for our vape devices and yet only a very select few have actually been worth even a mention. 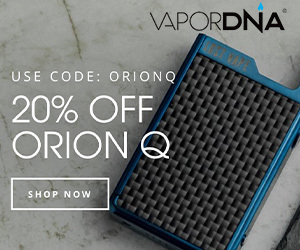 EVOLV’s DNA chipset – notably the DNA 200 – is perhaps the most well known and potent. Yihi is very close to EVOLV’s DNA, however, for raw performance. And so too is Joyetech’s chipsets which you will find inside excellent mods like the Reuleaux RX200S and Reuleaux 2/3. Make no mistake: the OMNI Board is one hell of a competent chipset. I’ve been using it inside the Tarot Pro for a few weeks now and its capabilities have really impressed me, which is why I decided to do this piece on Vaporesso’s OMNI board. It deserves more credit and exposure. Right let’s dig down into what makes Vaporesso’s OMNI Board so darn good! I have seen many chips that offer all those extra features and yet fail to deliver on them. Things don’t work quite as described or performance is patchy. Like its competitors, Vaporesso makes some pretty big claims about its OMNI board, but does it deliver the goods? 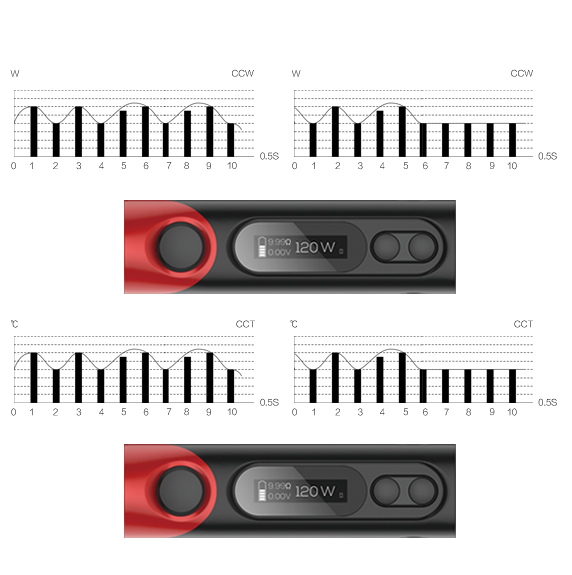 SW – Smart Wattage: Auto detects coil and sets wattage to recommended vape setting in wattage mode. The user can adjust to there own preference and the setting will be saved until you remove the atomizer. Temperature Control: You have the option of using Ni, Ti, and SS for all your temperature control needs. Temperature Coefficient Resistance: Here is where you can fine tune your temperature control setting for the wire you are using. You have 3 memory settings. Customised Curve of Wattage – CCW: This setting is unique and not many devices offer this. What you can do right from the device itself is set your wattage to say 90W then ½ second increments go either up or down in wattage to set your very own personalised vaping experience. Customised Curve of Temperature – CCT: This setting is unique and very much like the CCW in the fact of setting this up. In addition to that the CCT can be used as a preheat for those TC coils. Bypass: In this setting you have just turned your regulated device into a mechanical mod. Firmware Upgradeable: This is a great feature to have and yes you can update the firmware. USB Charging: You can use the USB charge port as the OMNI board does have balanced charging. Also, ALL Vaporesso mods carry the OMNI Board, so you get access to all of these feature, regardless of what mod you go for. You can customize the curve of wattage, according to its respective second, up and down in a pattern with this setting. For instance, you can select the output for every 1/2 second of the first 5 seconds to minimize ramp up time. CCT, which stands for Customised Curve of Temperature, is the same deal, only it applies to TC. With the CCW, you can have your 1st few drags at a higher temperature, and then automatically lower it so there’s no risk of over-heating the coil. Again, these are advanced features. But having them inside ALL Vaporesso mods is a really nice USP for the brand. As you can see from the above information I did do what I felt was most important. At no time during any of my testing did the device fail. The OMNI is outstanding at what it does. Giving exceptional performance in every aspect of its advertised features set. I personally think that JoyeTech needs to do something spectacular in the coming months in order to outdo OMNI. If they don’t JoyeTech might just find itself in 3rd place behind EVOLV, YiHi and Vaporesso. Is Vaporesso’s OMNI Board Better Than EVOLV’s DNA Chip? For overall performance and reliability, I’d say no – not at the moment. But it isn’t far behind with respect to features and performance. YiHi and DNA are more mature, and this plays a major part in why they’re currently the top dogs. Give Vaporesso another year or two and they will almost certainly be nipping at the heels of these two titan brands. The main area where Vaporesso delivers the goods is value for money; in this respect, neither YiHi nor EVOLV can hold a candle to it. 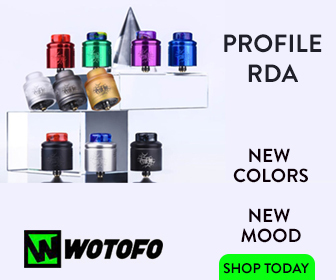 But – and there’s ALWAYS a but – if you can only stretch to a low end device, or, you don’t want to spend hundreds of dollars on a mod, but still want excellent performance and longevity, then go for an OMNI device first or, if you prefer the selection of Joyetech-powered mods, one of those – both are excellent options. 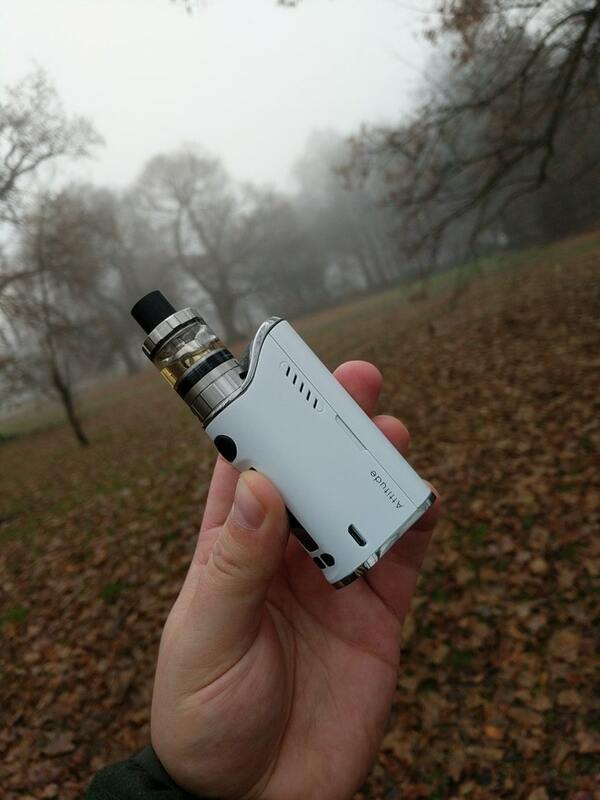 My personal opinion of the OMNI: The Vaporesso Tarot Pro has sidelined my RX2/3 and the reason is the OMNI board – OK, the OMNI Board and the beautiful design of the Tarot Pro. But mostly the OMNI board. This chipset is beyond impressive and it’s great to see another player enter the space with something that is extremely compelling. Potential is one thing, which the OMNI has in spades, but more importantly it actually delivers the goods, as advertised. Plus it is available inside an ever-growing selection of STUNNING mods. VaporDNA has the biggest collection of Vaporesso gear I have seen so far. Unlike SMOK, Vaporesso doesn’t seem to have the distribution reach it should right now. Hopefully, that will change in the future, as The Big V is one of my favorite brands in the vaping space right now.